Google+ may be on its deathbed following the departure of the service's head honcho. Vic Gundotra, Google senior VP and head of Google+, recently departed the company with little explanation. While official details have yet to surface, TechCrunch reports that Gundotra's departure heralds a turning point for Google+ and how the social network ties in with Google's other services. 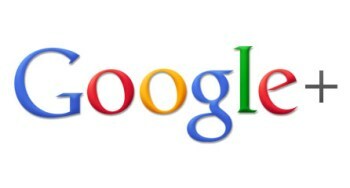 And not in a small way - this may be the end of Google's aggressive efforts to make everyone use their social network. Google+ has never been the most well-received of Google's services, especially after its mandatory integration with YouTube and other Google-operated services. If TechCrunch's anonymous sources are to be believed, G+ will soon be uncoupled from many of those operations as the social network undergoes some massive downscaling. In fact, it may no longer be much of a social network; TechCrunch reports that G+ won't be competing with Facebook and Twitter anymore. The sources also indicate that some 1,000-1,200 employees who were working on Google+ will be reshuffled to other projects within Google, primarily Android. All this information, however, is pretty dubious. Google has issued a statement that Gundotra's departure will have "no impact on our Google+ strategy." TechCrunch seems to have faith in its "multiple sources," but there's been no verifiable confirmation on the intel. We'll update you if anything substantial comes up.